The USEtox model was developed in a scientific consensus process involving comparison of and harmonization between existing environmental multimedia fate models. 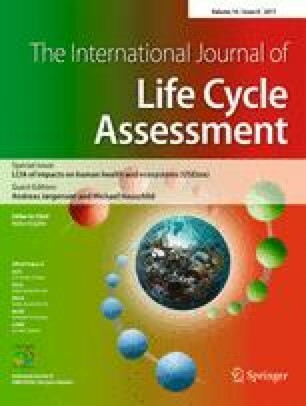 USEtox quantitatively models the continuum from chemical emission to freshwater ecosystem toxicity via chemical-specific characterization factors (CFs) for Life Cycle Impact Assessment (LCIA). This work provides understanding of the key mechanisms and chemical parameters influencing fate in the environment and impact on aquatic ecosystems. USEtox incorporates a matrix framework for multimedia modeling, allowing separation of fate, exposure, and ecotoxicity effects in the determination of an overall CF. Current best practices, such as incorporation of intermittent rain and effect factors (EF) based on substance toxicity across species, are implemented in the model. The USEtox database provides a dataset of over 3,000 organic chemicals, of which approximately 2,500 have freshwater EFs. Freshwater characterization factors for these substances, with a special focus on a subset of chemicals with characteristic properties, were analyzed to understand the contributions of fate, exposure, and effect on the overall CFs. The approach was based on theoretical interpretation of the multimedia model components as well as multidimensional graphical analysis. For direct emission of a substance to water, the EF strongly controls freshwater ecotoxicity, with a range of up to 10 orders of magnitude. In this release scenario, chemical-specific differences in environmental fate influence the CF for freshwater emissions by less than 2 orders of magnitude. However, for an emission to air or soil, the influence of the fate is more pronounced. Chemical partitioning properties between water, air, and soil may drive intermedia transfer, which may be limited by the often uncertain, media-specific degradation half-life. Intermedia transfer may be a function of landscape parameters as well; for example, direct transfer from air to freshwater is limited by the surface area of freshwater. Overall, these altered fate factors may decrease the CF up to 8 orders of magnitude. This work brings new clarity to the relative contributions of fate and freshwater ecotoxicity to the calculation of CFs. In concert with the USEtox database, which provides the most extensive compilation of CFs to date, these findings enable those undertaking LCIA to understand and contextualize existing and newly calculated CFs. The online version of this article (doi: 10.1007/s11367-011-0294-6) contains supplementary material, which is available to authorized users. Most of the work for this project was carried out on a voluntary basis and financed by in-kind contributions from the authors' home institutions which are therefore gratefully acknowledged. The work was performed under the auspices of the UNEP-SETAC Life Cycle Initiative, which also provided logistic and financial support and facilitated stakeholder consultations. Financial support from American Chemical Council (ACC) and International Council on Mining and Metals (ICMM) is also gratefully acknowledged.